The ASA is committed to helping our Assyrian youth in preparing for college and completing a degree in higher education. Education is important to develop our youth into successful individuals in order to better serve the communities we live in. We understand that preparing for college and tuition costs can be daunting; however, the ASA is available to make this process easier. We offer FREE services to complete your college applications and FAFSA (Free Application For Federal Student Aid). It is important for us, as the Assyrian Student Association, to offer these services in order to support higher education and create brighter futures for our youth. 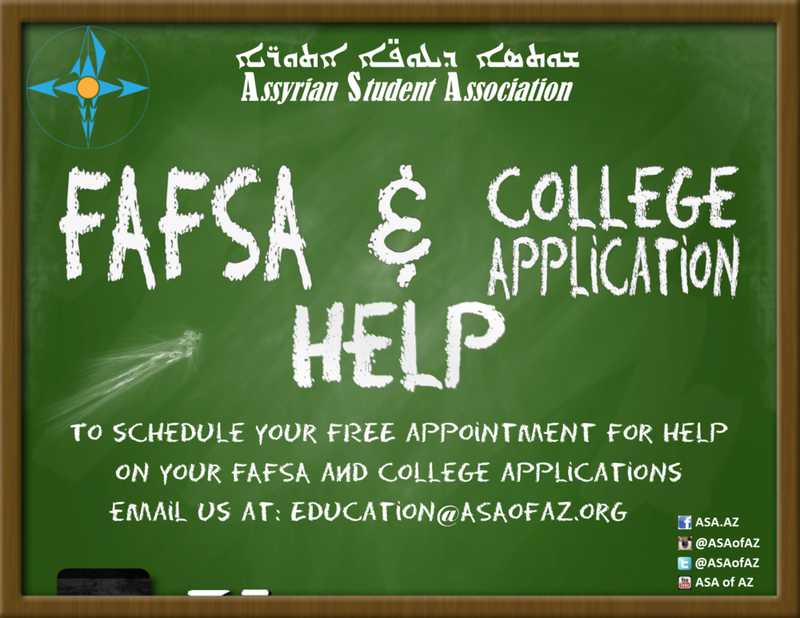 If you are in need of these services, simply contact us at education@asaofaz.org to set up an appointment.